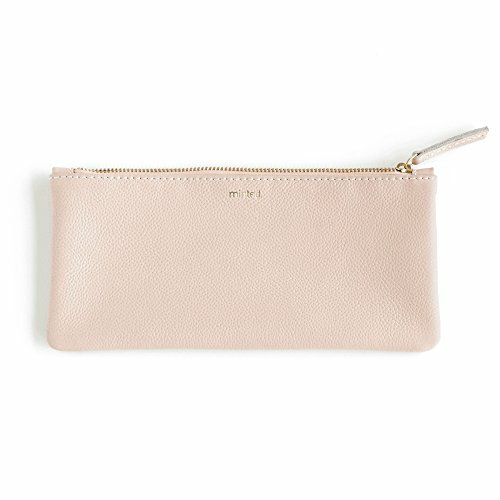 A 9'' x 4.25'' pencil pouch in blush pebbled leather with a gold zipper closure and Minted logo in gold foil. Minted is a design marketplace that connects you to the world’s best emerging artists. Your new must-have: a sleek and smart accessory crafted from rich pebbled leather and finished with gleaming gold hardware. A 9'' x 4.25'' pencil pouch in blush pebbled leather with a gold zipper closure and Minted logo in gold foil. Minted is a design marketplace that connects you to the world's best emerging artists. If you have any questions about this product by Minted, contact us by completing and submitting the form below. If you are looking for a specif part number, please include it with your message.